Constraint Induced Movement Therapy which is also abbreviated as CI, CIT or CIMT is a type of rehabilitation therapy which is used overcome upper limb impairments after stroke and other central nervous system damage. It is a behavioural approach to neurorehabilitation based on Learned Non-use. Constraint induced movement therapy has also been performed for individuals with cerebral palsy, traumatic brain injury and multiple sclerosis. • Repetitive, structured, practice intensive therapy in the more affected arm. • Restraint of the less affected arm. 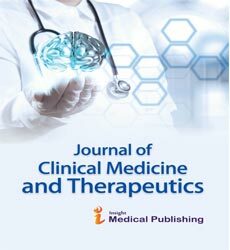 • Application of a package of behavioural techniques that transfers gains from the clinical setting to the real world by making it functional. International Journal of Neurorehabilitation, Reconstructive Surgery & Anaplastology, International Journal of Physical Medicine & Rehabilitation, Stroke Research and Treatment, Stroke.